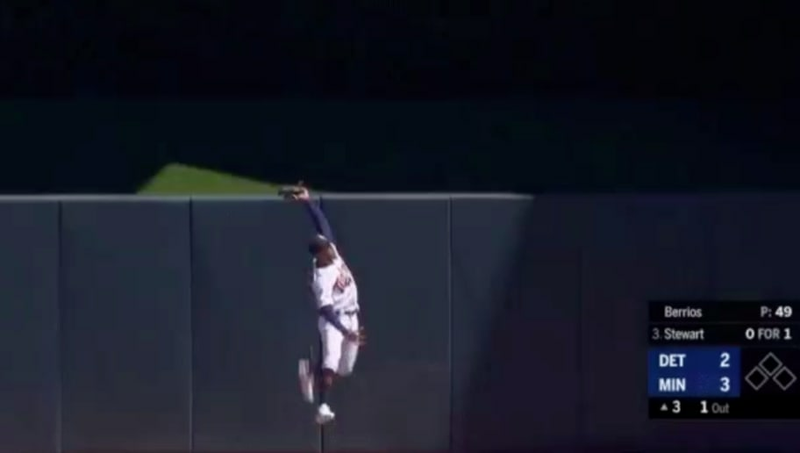 ​On a daily basis, ​Minnesota Twins center fielder ​Byron Buxton continues to stun the league with some jaw-dropping catches in center field. His latest effort, which robbed Tigers infielder Christian Stewart of extra bases, might be the catch of the year. And it's only April. Buxton was selected one pick after Carlos Correa in the 2012 MLB draft, but has had issues with the bat that have prevented him from becoming a star. His glove has never been a problem, as he's consistently strung together highlight reel plays in center field, much like this one.